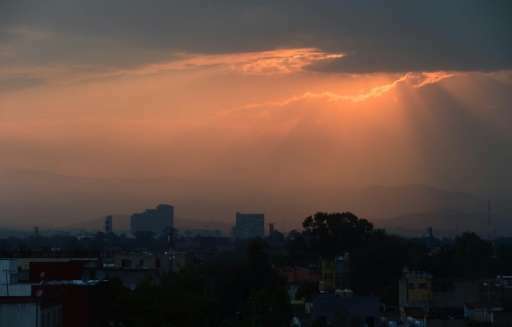 Authorities announced on Tuesday new measures to combat a recent increase in air pollution in Mexico City, as officials reported an increase in related ailments such as asthma. Environment Minister Rafael Pacchiano blamed the rise in ozone levels on the 5.5 million cars and trucks that zoom around the mega-city of 21 million people every day. Pacchiano said that rules to verify vehicle emissions will be reinforced on July 1, with new systems aimed at preventing corruption that has allowed the most polluting cars to stay on the road. The other plans include switching public transport to natural gas, installing systems to capture fuel vapors at service stations, and allowing large trucks to drive at night only. Ozone levels surged in March, prompting authorities to declare the first air pollution alert in more than a decade and impose extra traffic restrictions that will run until June 30. The authorities banned 40 percent of vehicles on April 6 and again between May 2-4 after ozone levels exceeded established limits. Julio Sanchez, head of the federal health protection agency COFEPRIS, said a rise in asthma and otitis—infection or inflammation of the ear—have been reported, but he did not provide any figures. The city already had a program that banned older cars on certain days of the weeks, but the capital is still inundated with traffic, partly because some people pay bribes to pass emissions tests. Pacchiano said that instead of calculating emissions from the exhaust pipes, the new rules will require verification centers to use data from the vehicle's own diagnostics system. "We will use high-end technology that other countries are using, which will avoid corruption problems and that will guarantee that only the vehicles that pollute less can pass the verification process," he said.